Visitors to CannaCamp, near the town of Durango, are promised an array of ways to indulge in the drug alongside traditional vacation activities such as hiking, fishing and fine dining. It is the first destination of its kind to open in the state, which legalized marijuana in 2014. 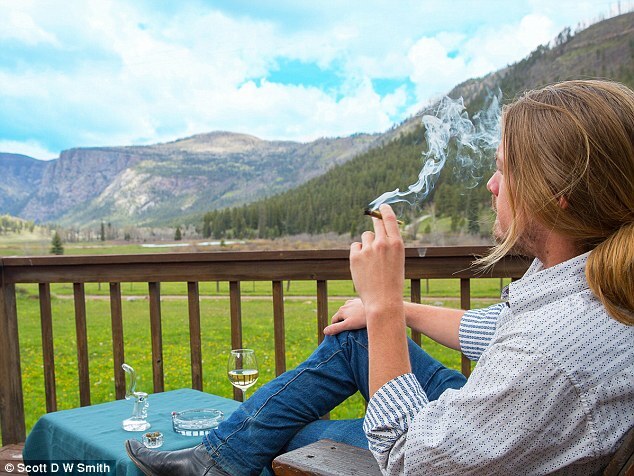 Due to the particulars of Colorado law, CannaCamp isn’t allowed to include marijuana in its all-inclusive package of food, accommodation and activities, which start at $395 per person per night. But resort staff will do their best to make sure every guest can get as high as they like, offering tailored guidance on the ideal drug blend, and even suggesting weed pairings with their fine dining options. Promotional photographs from the resort show elegant glass bongs and lumps of cannabis laid out opposite wine glasses to accompany meals like broiled salmon with asparagus.